An estimate of damage is completed by one of our trained Estimators through the SGI Elite estimate option or through your SGI insurance adjustor. We will schedule your vehicle in for repair, notify the insurance company and confirm coverage for a rental vehicle. Parts will be ordered prior to your scheduled appointment date. When your vehicle arrives at Lazer Autobody, it is washed and meticulously disassembled to ensure there are no hidden damages. Once we have completed the disassembly process, we notify your insurance company of any additional repairs required. We then create a repair plan with our trained technicians. 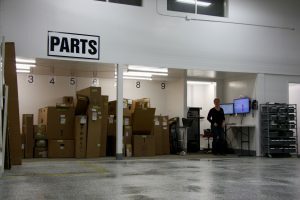 If additional parts are required they are ordered at this time. 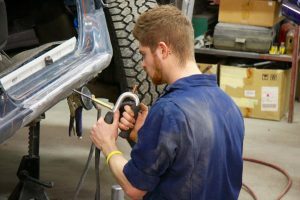 If your vehicle needs any structural, suspension or wheel alignment repairs, they are completed first. Body repairs are started once all structural repairs are complete. 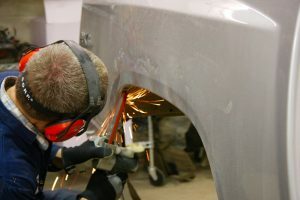 At this time repairs or replacement begins on the damaged body panels. 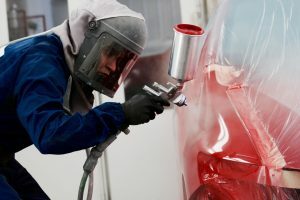 Your vehicle is then primed and prepped for paint. 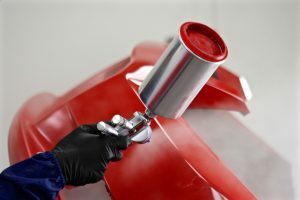 Lazer Autobody uses the latest color matching technology in the industry. 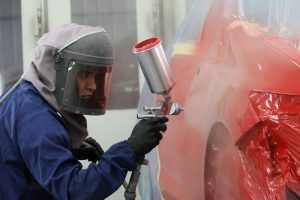 Painting your vehicle is a multi-step process completed by trained professionals using state of the art equipment. 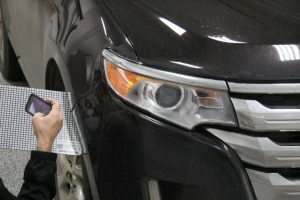 Lazer Autobody takes pride in their color matching abilities and are known throughout the city for this. 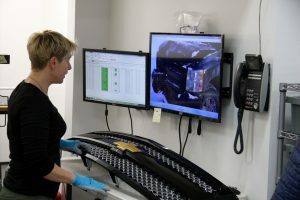 Your vehicle is then reassembled and double checked making sure gaps and body lines are spot on. Your vehicle is cleaned inside and out. 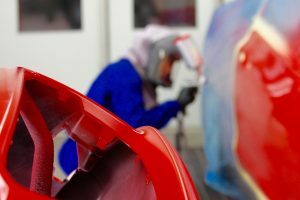 Our team takes pride in making sure your vehicle looks like new when you pick it up. A final inspection is completed to ensure it has been restored to pre-accident condition. The repair process is complete! We will call you to arrange a time to pick up your vehicle and drop off the rental if required.